The Supreme Court of India has issued Directions to the Government on Implementation of the Mahatma Gandhi National Rural Employment Guarantee Act, 2005 and the Mahatma Gandhi National Rural Employment Guarantee Scheme framed under the provisions of Section 4 of the said Act . The Directions are issued in the Third Part of SWARAJ ABHIYAN Judgment. “In our judgment dated 11th May, 2016 we had considered the issue of the drought or drought-like conditions prevailing in some parts of the country and had issued certain directions for compliance. Subsequently, in a related matter in our judgment pronounced today, we have dealt with the provisions of the National Food Security Act, 2013 and the Mid-Day Meal Scheme announced by the Government of India and issued directions for the effective implementation of the statute and the Mid-Day Meal Scheme to benefit people (including children) particularly those affected by the drought or drought-like conditions”, said the Bench comprising of Justices Madan Lokur and N.V.Ramana. The first submission of the petitioner in this context is that the Government of India and the concerned State Governments are obliged to ensure that adequate budgetary provision is made for the financial implementation of the Scheme. It is submitted that in addition to ensuring adequate financial provision, the Government of India as well as the concerned State Governments should not place any budgetary limit under the Scheme if employment is sought over and above 100 days. The first prayer, therefore, is for issuing appropriate directions to the Union of India in this behalf. While the guarantee is for 100 days in a year, the State should encourage employment for more than that The second prayer made in this context is that even if there is no budgetary limit, there is an informal cap on funds under the Scheme and that should be done away with. The third prayer therefore relates to an additional consequence of a shortage of funds and a depleted ‘workforce’. The fourth prayer made under this heading is for the Government of India to increase the minimum statutory obligation of 100 days employment per rural household by another 50 days for drought affected States for the year 2016-17 and to release the additional financial requirements well in time. The Government of India acknowledges that the minimum guaranteed employment is 100 days in a year in terms of the NREG Act, but that it is voluntary. That apart, it is submitted that given the magnitude of the effort required, it is not easy to achieve the target. It is not denied that job cards have been issued to about 13.26 crore households all over the country and the number of active job cards is about 5.72 crores and the total households that have worked in the financial year 2015-16 is about 4.77 crores. The total number of households that have been provided 100 days of employment in the year 2015-16 is said to be 47,06,129 (as on 19th April, 2016) and in the drought affected States the number of such households is said to be 27,64,508 (as on 19th April, 2016). The petitioner has different figures as on a different date but it is not necessary to decide which set of figures is correct since the Government of India believes that in view of the large numbers, the implementation of the Scheme is dependent upon the efforts of the State Governments. The Government of India can only persuade the State Governments to reach the minimum statutory guarantee of 100 days employment. It is submitted that as a result of this persuasion, employment provided per household at the national level is 47 days which is the highest achieved in the last six years. As far as the drought affected States are concerned, the average days of employment provided per household is 46.4 days. Based on this, it is submitted that all efforts are being made to faithfully implement the Scheme in spirit and no effort is spared in this regard. The Court held that it is quite clear, therefore, that when the rights of tens of thousands of people are affected by delayed payment of their legitimate dues, there is a clear constitutional breach committed by the State – be it the Government of India or a State Government. The State Governments ought to present a realistic budget which should then be pragmatically considered by the Empowered Committee. This procedure will avoid any unnecessary controversy between the State Governments and the Government of India about the release of funds under the Scheme. The Government of India is directed to release to the State Governments adequate funds under the Scheme in a timely manner so that the ‘workforce’ is paid its wages well in time. It is regrettable that the pending wage bill for 2015-16 was cleared only during the pendency of this petition. The Government of India must shape up in this regard. The Government of India is directed to ensure that compensation for delayed payment is made over to the workers whose wages have been delayed beyond 15 days as postulated by paragraph 29 of Schedule II of the NREG Act and the Guidelines for Compensation formulated pursuant thereto. Both the State Governments and the Government of India are directed to make all efforts to encourage needy persons to come forward and take advantage of the Scheme. A success rate below 50% is nothing to be proud of. 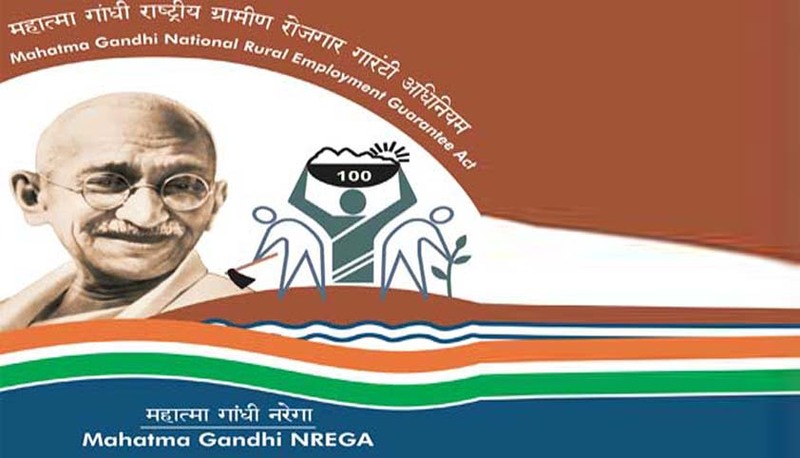 The Government of India is directed to ensure that the Central Employment Guarantee Council is immediately constituted under Section 10 of the NREG Act. In any event, the Central Employment Guarantee Council should be constituted within a maximum of 60 days from today. The Government of India is directed to proactively request the State Governments to establish the State Employment Guarantee Council under Section 12 of the Act within a period of 45 days from today. The effective implementation of the NREG Act will certainly not be possible unless these monitoring and reviewing authorities faithfully and urgently established by the Government of India and the State Governments. 7. Since the NREG Act is a social welfare and social justice legislation the Government of India must ensure that its provisions are faithfully implemented by all concerned.